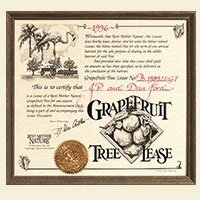 Buy Ruby-Red Grapefruit from Florida's Indian River region. The nice thing about this gift is it keeps on giving! You get the certificate for the holiday, and the rest in stages. The grapefruit was delicious.